Vedalam is nearing its release date, November 10, which is just a week away. The film is also coming out with a Telugu dubbed version titled Aavesham and dubbing works for the same are going on at a steadfast pace. The question is, will Aavesham also come out on 10th? Lets find out. Akhil is a big Telugu release on Nov 11th, and it is the launch pad of Nagarjuna's youngest son, Akkineni Akhil. And Salman Khan's Prem Ratan Dhan Payo produced by Rajshri Productions is releasing on Nov 12th and the film will also be having a Telugu dubbed version, where Ram Charan has dubbed for Salman Khan. Both these films are expected to grab most of the screens in the two Telugu speaking states and it is unlikely that Aavesham will release on 10th given the expected screen crunch there. Cheekati Rajyam (the Telugu version of Thoongavanam) has already postponed its release to Nov 20. 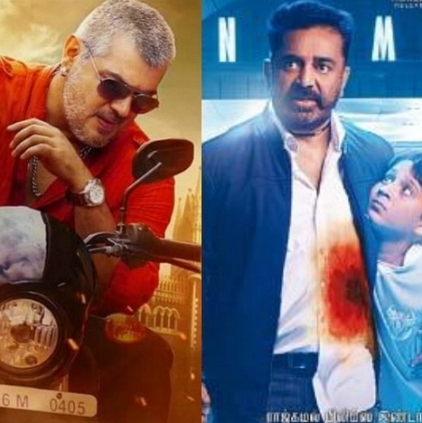 So is Ajith also backing out, like Kamal? People looking for online information on Aavesham, Ajith, Vedalam will find this news story useful.